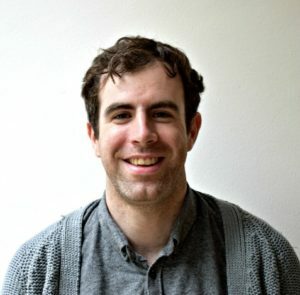 In a guest blog post for Thoughts at the Trust, Nic Murray, Research Officer at the Money and Mental Health Policy Institute, talks about mental health, financial capability, and their new online community. Mental health is hard to talk about, but we’re getting better.  From the advice sector proactively asking clients about their mental health, to creditors understanding how a financial crisis increases suicide risk and what to say in these circumstances, conversations about mental health are becoming more common. At the Money and Mental Health Policy Institute we aim to harness the combined power of these millions of individual conversations – using them to inform a body of research about the links between money and mental health problems, and what can be done about them. We have known for a long time that mental health problems can make day-to-day tasks around managing money more difficult. What we’ve lacked, though, is a detailed understanding of what precisely those difficulties might be so as to develop solutions empowering consumers to overcome them. Our approach to filling this gap has been to map the impact of a wide range of mental health problems on people’s financial capability, informed, not only by the academic literature, but also by hearing from thousands of people with mental health problems about their own experiences. Dealing with information – The experience of certain mental health problems may make information associated with financial products and services more difficult to focus on and understand. Memory – Being able to remember security details, information discussed over the phone or keeping track of payments and spending can all become more challenging when experiencing memory impairments during a period of poor mental health. Lack of inhibition – Having difficulties suppressing inhibitions may lead someone to carry out more impulsive financial decisions, while ignoring long-term consequences. This could mean a person spending more than they can afford or taking out expensive credit products. Barriers to action – Lack of motivation or severe anxiety may act to prevent people from even carrying out tasks necessary for good financial management like budgeting, opening bills or making telephone calls to communicate with banks or creditors. We have the unique resource of a community of two thousand people with mental health problems who have signed up to share their experience and ideas with us, to shape our research. Hearing from members of our research community allows us to understand how these barriers to good financial capability may play out in practice. Though customers may not always disclose a mental health problem to their creditors or a debt adviser, many do want to share their experiences in confidence to affect change. At Money and Mental Health we offer them the opportunity to do so in an environment that is safe and secure. By joining our online community they can share their story and amplify their voice, which may have gone unheard previously. As our research community grows so too does the richness of the picture we develop about the problems people with mental health problems face. This means we hear from a wide range of people with unique experiences, as well as identifying common problems. One such issue that was raised by our research community was widespread charging by GPs for the Debt and Mental Health Evidence Form – evidence required by creditors to prove a customer is unwell and requires extra support. We found that a third of those who needed the form were charged by their doctor for it, with many left going without essentials or borrowing money to pay the fee. After hearing stories like this we launched a campaign calling for an end to this unfair practice. The campaign, which was supported by a number of advice and mental health charities including the Money Advice Trust, culminated in a victory this January when Theresa May committed to a review of the form with the aim of ending charging. The research community were delighted than an issue they raised was being addressed by the Prime Minister. As the Stop the Charge campaign has shown, our research community is at the heart of our work; from identifying issues that may too often be overlooked, to sharing their experiences with us, which is often the most compelling evidence for change. We want to continue its growth to allow even more consumers have a say about what would be most helpful for them during periods of poor mental health. And you can help us reach them. Anyone with experience of a mental health problem, or who cares for someone who does, can take part. Please help us by spreading the word to your own contacts, clients, customers or colleagues, and inviting them to join the conversation. The more people that get involved, the bigger the difference we can make.